21	Who Stole the Tarts? 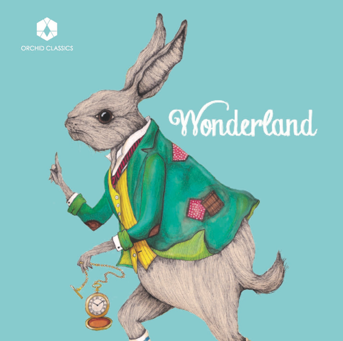 From the original idea through to the release of this CD, Wonderland has constantly grown and developed to become the most exciting and ambitious project with which we’ve ever been involved. In its final incarnation it features over 30 creators, each one giving everything of themselves without asking for a penny in return. Another 60-odd people, some related to the project and many not, have generously offered financial support to facilitate this recording in order that the project could benefit The Lenny Trusler Children’s Foundation to the highest degree possible. For this we cannot thank them enough. Since starting the charity nearly ten years ago, we have tried to home in on certain things we felt could make an immediate difference. Our first project was to equip a ‘Family Room’ at the Whittington Hospital in London, which became a place where parents could spend time in some level of comfort while they endured extended periods in the Intensive Care Unit with their desperately ill babies or children. Next we set our heart on a new incubator for the same hospital – at a cost of over £30,000 it is a pricey but priceless piece of kit that saves a vast number of babies each year. Our latest campaign is to support the extraordinary Helen House children’s hospice in Oxford. If ever there was place that creates a real, tangible difference to the life of a young person who has simply been dealt a terrible hand, Helen House is it. It is set up to make every day the greatest joy possible for the children staying there, and also – and this is not insignificant – for their parents and families. There are many ways they do this, and one of them is through music. It probably comes as no shock to hear how important music can be in places such as this. Music therapy, in particular, can be used to wonderful effect, helping to navigate around a whole set of unpleasant issues that can arise from having a serious, life-shortening illness. Take, for instance, the simple act of breathing. There are many conditions that can affect breathing, making it difficult and uncomfortable. Singing can not only help with this, it also brings the children lots of fun. Then there’s the unpleasantness of being constantly interfered with and given various medications and procedures, all of which can be horribly unsettling for a child. Playing music can give them back just a small but important sense of control. And for families themselves music not only provides a chance to be together with their children in the most positive way, but can also help with the unimaginably difficult grieving process. These are just a few things that are amazing about music, and the way it is used at Helen House. So, we decided we wanted to fund the Music Therapy course there, at a cost of £15,000 a year. We don’t expect to do this forever, but if we can pay for even a single year, the pleasure this brings to those little people and their families will be invaluable. This Wonderland album will help us achieve our aim. Thank you for buying this recording, and thank you once again to every single person along the way who has offered money, time, creativity and support in any number of different ways. Sally Beamish was born in London. Initially a viola player, she moved to Scotland in 1990 to develop her career as a composer. Her music embraces many influences: particularly jazz and Scottish traditional music. Sally’s music is performed and broadcast internationally, and since 1999 she has been championed by the BIS label, who have recorded much of her work. Her string quartet ‘Reed Stanzas’ received its premiere at the 2011 BBC Proms, and won a RPS Award. In February 2012 Sally was BBC Radio 3 Composer of the Week. She is currently working with Sir Andrew Motion on a joint commission from the LSO and Royal Scottish National Orchestra. Roxanna Panufnik is one of the UK’s most popular and loved composers whose works have struck a deep emotional chord with audiences everywhere. Since studying composition at London’s Royal Academy of Music, Roxanna’s since written a wide range of pieces including opera, ballet, music theatre, choral works, chamber compositions and music for film and television which are regularly performed all over the world. Roxanna’s compositions have been recorded by many companies including Warner Classics and EMI Classics. Three Paths to Peace, commissioned by the World Orchestra for Peace and conducted by Valery Gergiev, received its BBC Proms premiere in 2016. A composer of truly international stature, Mark-Anthony Turnage is among the most relevant communicators and creators of today. Born in Britain in 1960, Turnage studied with Oliver Knussen and John Lambert, and later with Gunther Schuller. With the encouragement of Hans Werner Henze, he wrote his first opera for the Munich Biennale festival, Greek, which received a triumphant premiere in 1988. The many ensuing productions worldwide established Turnage’s international reputation. Mark-Anthony Turnage has served as Composer in Residence at the CBSO (with Rattle), BBC Symphony, London Philharmonic and Chicago Symphony orchestras. Stuart MacRae studied at Durham University with Philip Cashian and Michael Zev Gordon, and subsequently with Simon Bainbridge and Robert Saxton at the Guildhall School of Music and Drama. By his mid-twenties he was writing astonishingly original and powerfully expressive works, and was receiving commissions from organisations such as the BBC and the London Sinfonietta as well as being appointed Composer-in-Association with the BBC Scottish Symphony Orchestra. Often inspired by aspects of the natural landscape, MacRae’s style draws on various strands of European modernism, including the music of Stravinsky, Carter, Xenakis and Maxwell Davies. Poul Ruders trained as an organist and has also studied orchestration with the composer Karl Aage Rasmussen. Today he is the most frequently-played living Danish composer both in Denmark and abroad. His 2000 opera, The Handmaid’s Tale, was a resounding success and has since celebrated triumphs in London, Minnesota and Toronto. Poul Ruders was named “Composer of the Year” at MIDEM and the recording of the opera was nominated for two Grammys. Commissions have since come from the Berlin Philharmonic, the New York Philharmonic and the BBC Symphony Orchestra. In 2005 Ruders was awarded the Wilhelm Hansen Composer’s Prize. Howard Blake is an English composer, pianist and conductor whose career has spanned over 50 years and produced more than 650 works. Blake’s most famous work is his Oscar-nominated soundtrack to Channel 4’s animated film The Snowman. The feature song ‘Walking in the Air’ was a global hit and the stage version has recently celebrated 17 consecutive years of Christmas success in London’s West End. He has written extensively for film and television, has received commissions from organisations such as the Philharmonia Orchestra (a piano concerto for the 30th birthday of Princess Diana) and has been awarded an OBE for his services to music. A consummate all-round musician, Carl Davis is widely-known internationally in many spheres of music-making. He has been enormously successful in the world of theatre and is equally well-known in the field of dance, working with the major choreographers of the day. Davis’s output for film and television is vast, including The World At War, The French Lieutenant’s Woman (the winner of both the BAFTA and Ivor Novello awards) and Pride & Prejudice. In 1991 his first collaboration with Paul McCartney produced the Liverpool Oratorio, now being performed in many countries throughout the world. Stephen Hough is widely regarded as one of the most important and distinctive pianists of his generation. He was awarded a prestigious MacArthur Fellowship in 2001 in recognition of his achievements, and in the 2014 New Year’s Honours List he was made a Commander of the Order of the British Empire. His extensive list of recordings has won four Grammy nominations and eight Gramophone Awards —including two ‘Record of the Year’ awards. Stephen is also an avid writer of music and prose. He has a book published by Continuum Books and many compositions and transcriptions are published by Josef Weinberger Ltd.
After starting music at the age of 20, Richard Dubugnon was accepted to the Paris Conservatory in 1992, where he graduated with prizes in Double Bass, Counterpoint, and Fugue. He also studied composition at the Royal Academy of Music in London, becoming a fellow there in 1998. His music, characterized as “driven by a playful, modern sensibility,” has been commissioned and performed by such artists as Janine Jansen, Esa-Pekka Salonen, Julian Rachlin, and Gautier Capuçon, earning awards such as the Pierre Cardin Prize and the Grand Prix Lycéen. Forthcoming projects include a concerto for two pianos for the Labèques, a co-commission by the LA Philharmonic, Gewandhaus Leipzig, Orchestre de la Suisse Romande and Orchestre de Paris. Winner of the 1998 International Violin Competition ‘Premio Paganini’, Ilya Gringolts studied violin and composition at the St Petersburg Special Music School and at the Juilliard School in New York with Itzhak Perlman and the late Dorothy Delay. He was also one of twelve young artists selected by the BBC for their New Generation Artists scheme. Ilya has performed with the world’s leading orchestras and conductors, and has recorded for Deutsche Grammophon — including a Gramophone Award-winning CD of Taneyev chamber music — BIS, Hyperion, Onyx and Orchid Classics. Renowned in the field of contemporary music, his own compositions have been recorded by BIS. Colin Matthews was born in London and worked as assistant to Benjamin Britten from 1972-6, and with Imogen Holst from 1971-84. Since the early 1970s his music has been played worldwide, with recordings on numerous labels. From 1992-9 he was Associate Composer with the London Symphony Orchestra, writing amongst other works his 2nd Cello Concerto, for Rostropovich. In 1997 his choral/orchestral Renewal, commissioned for the 50th anniversary of BBC Radio 3, was given a RPS Award. His works have been played and commissioned by the New York and Berlin Philharmonics, the LPO, Halle, Leipzig Gewandhaus and the Concertgebouw Orchestra, amongst many others. Gwilym Simcock is one of the most gifted pianists and imaginative composers on the British scene. Able to move effortlessly between jazz and classical music, he can, at times, inhabit both worlds and has been described as stylistically reminiscent of Keith Jarrett. His music has been widely acclaimed as “engaging, exciting, often unexpected, melodically enthralling, complex and wonderfully optimistic”. Gwilym’s influences include Keith Jarrett, Chick Corea and classical composers Maurice Ravel, Igor Stravinsky and Mark-Anthony Turnage. Although principally a jazz artist, Gwilym is breaking new ground between genres and often uses classical reference points in his composed work. August Read Thomas, born in New York, was the Mead Composer-in-Residence for Pierre Boulez and Daniel Barenboim at the Chicago Symphony Orchestra from 1997 through 2006. In 2007 her Astral Canticle was one of the two finalists for the Pulitzer Prize in Music. The “Colors of Love” CD which features two of Thomas’ compositions, won a Grammy award. G. Schirmer, Inc. is the exclusive publisher of her music worldwide, and her discography includes 63 commercially recorded CDs. Her music has been commissioned and performed by the Boston Symphony, LSO, Orchestre de Paris, BBC Proms and Berlin Philharmonic, and by artists such as Barenboim and Boulez. Louis de Bernieres, who lives in Norfolk, published his first novel in 1990 and was selected by Granta magazine as one of the twenty Best of Young British Novelists in 1993. Since then he has become one of the country’s most respected writers. Captain Corelli’s Mandolin (1994), won the Commonwealth Writers’ Prize for Best Novel and was made into a major Hollywood movie. Emily Carew Woodard was born in Truro in 1984 and grew up in Cornwall. She studied illustration at the London College of Communication, graduating in 2008. Emily currently lives in West London and works as an artist and designer from her studio in Waterloo. Emily has worked closely with the Roald Dahl Foundation and was production designer for Opera San Antonio’s highly acclaimed production of Fantastic Mr. Fox. Maureen Lipman is one of England’s best known and loved actresses. On television, she is well-known for playing Joyce Grenfell in the biographical show Re:Joyce!, which she co-wrote, and for Beattie, a series of award-winning television commercials for British Telecom. She has appeared in films such as Up The Junction and Educating Rita, and played the mother in Polanski’s award-winning film The Pianist. She has also starred many times in London’s West End including Wonderful Town, and as Florence Foster Jenkins in the Olivier Award nominated show Glorious! Maureen was made a CBE in 1999. Ashley and Matthew have both been playing their instruments since they were born, but it was their shared enthusiasm for creating projects that were difficult, dangerous or a little bit ridiculous which really brought them together. The two have recently formed a production company, called Orchid Creative, which will provide a vehicle for many of these ideas. The new venture already has a slate of projects in development, including concert and recording concepts, musical stage plays, a festival of film and music in collaboration with a major international arts organisation, and the completion, publication, recording and performance of an unheard opera by one of the most important composers of the 19th century. We would like to give a very special thanks to the following people for their generosity, without which this project would not have been possible.